This beautiful clock combines functionality and design in a cool way. The polished metal housing gives it a nostalgic charm, the sturdy curved glass front provides a high-quality optics and the battery-operated quartz movement ensures the accurate display of time. 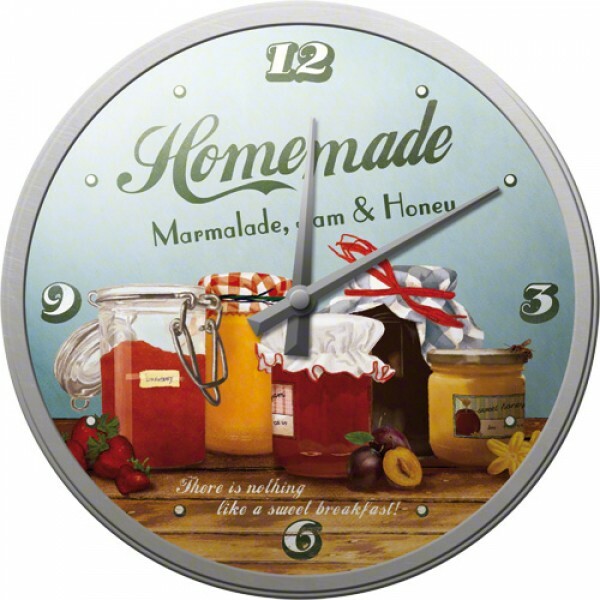 Kundenbewertungen für "Wall Clock ´Homemade Marmalade, Jam & Honey´"